It’s that time of year when every weekend seems jammed packed with picnics, parties and barbeques. And inevitably, you run out of new dishes to make and bring to all the gatherings. 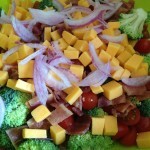 Whenever that happens, I turn to this salad. Not only is it fast and easy to make, but it is super fresh and light. And it goes with just about anything. I love making it when the host asks for a salad – it is full of veggies, a few goodies and is totally different than your typical run of the mill salads. Everything can be prepped ahead of time and thrown together right before the party. 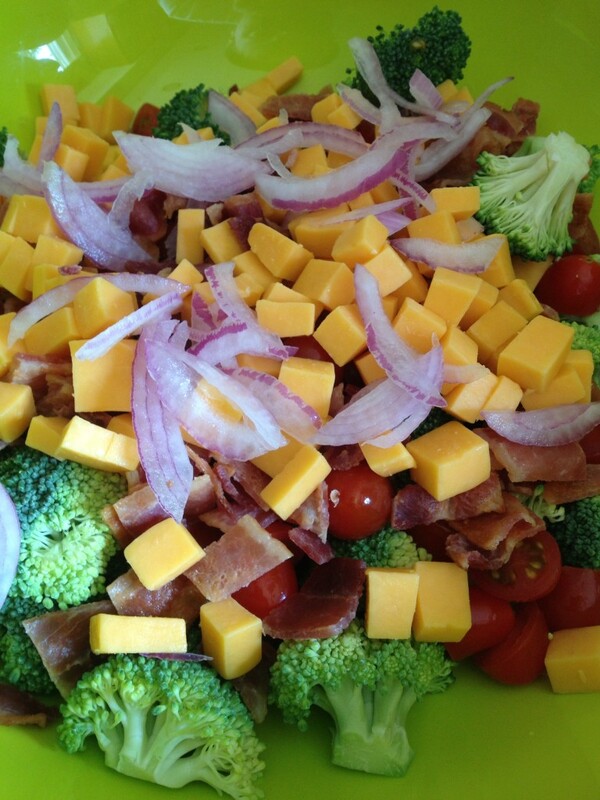 Just keep the dressing and veggies separate until you are ready to serve. 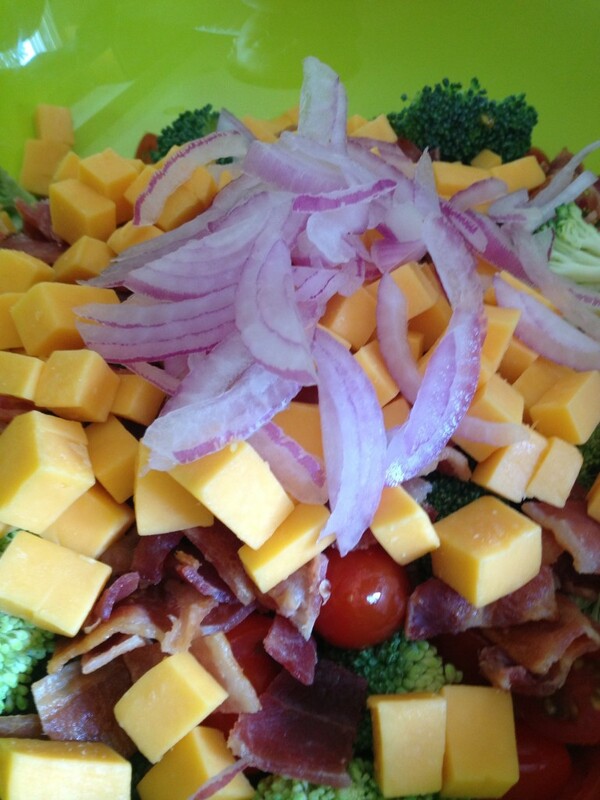 A lot of good, with just a little bit of bacon and cheese naughty-ness…my kind of salad. That cauliflower is really hiding in there…oh wait. I snapped the picture, brought it out to the guests and only then, did I realize, that I forgot to put the cauliflower in. Whisk mayonnaise, vinegars and sugar in a medium bowl until well combined and sugar has dissolved. Season with 1 tsp. of salt and 1/2 tsp. black pepper. Refrigerate covered until ready to use. Taste and adjust seasonings as necessary before using. When ready to toss the vegetables with the dressing, pour half of the dressing in a large, empty bowl. Add vegetables and remaining vegetables; toss well. Taste and adjust seasonings as necessary. Serve immediately or refrigerate up to 6 hours.